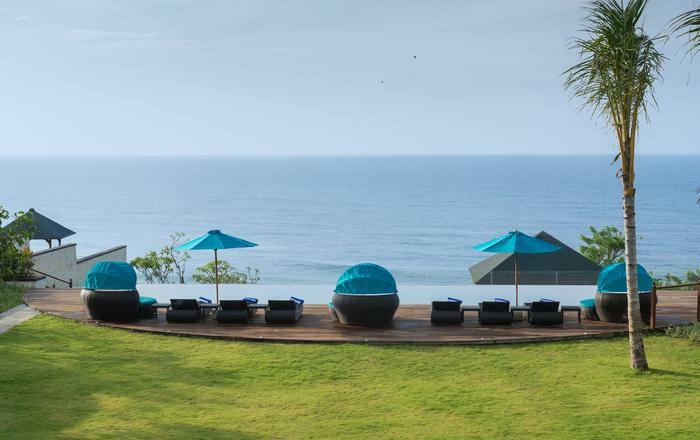 Panorama Summit is a stunning 5 bedroom hilltop villa with incredible 180 degree panorama vistas of both sunrise and sunset. 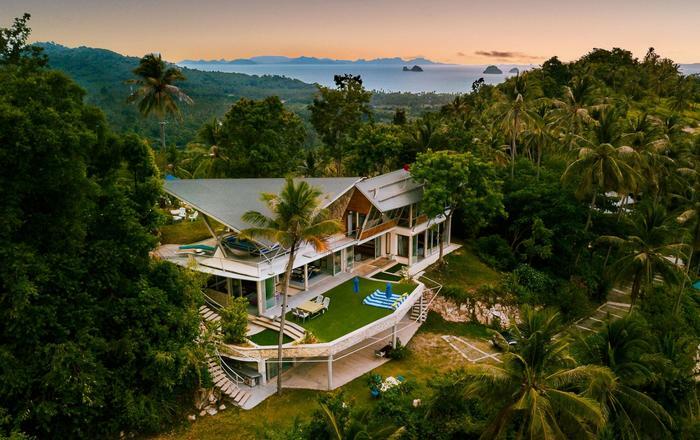 This expansive property is an excellent example of modern tropical architecture blended with South East Asian art spread over two floors. Panorama Summit is perfect for groups looking for the holiday of a lifetime in a tropical paradise. 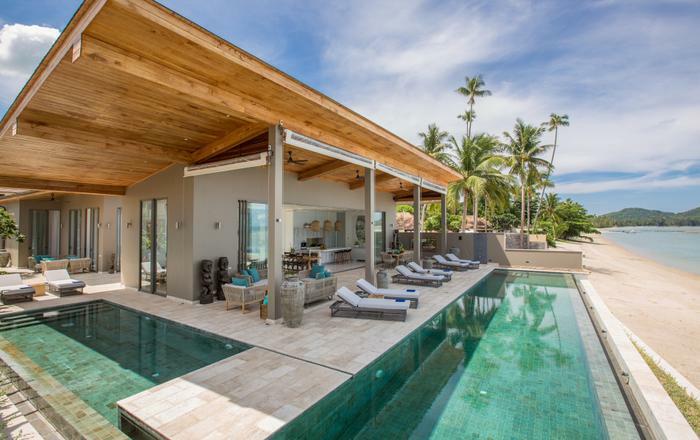 The 100sqm open plan lounge, dining and kitchen area is the social heart of the villa, boasting Javanese stone flooring and large sliding doors that open up two full sides allowing for free movement between the exterior and interior. The sun deck meets the fan cooled interior whilst the balmy hilltop breeze ensures that the villa never gets too hot. This level also has a well-equipped TV room with a large built-in sofa, scatter cushions and air conditioning making the ideal place to spend a relaxed evening. The outdoor spaces provide perfect opportunities to relax; the upper floor has an 107sqm terrace that wraps around the front of the villa. 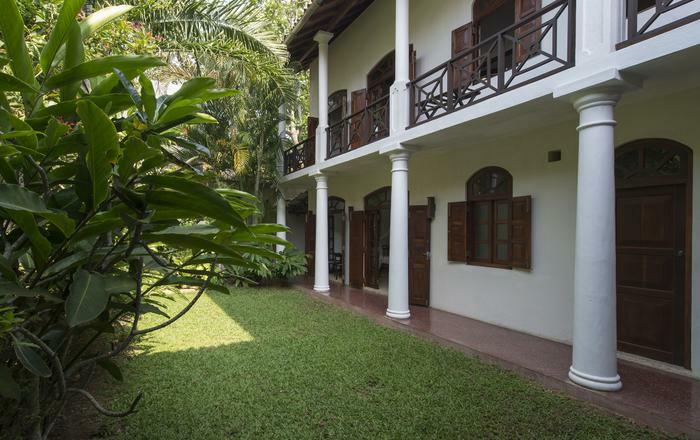 There is a discreet guest bathroom with shower just off the terrace and all terraces are edged with white bougainvillea. There are also plenty of sun loungers beside the pool and if it gets a bit hot there is an undercover relaxation area with comfortable seating, overhead fans, a coffee table and a ping pong table. A carefully conceived design means that guests can chose to dine alfresco or indoors and never lose sight of the spectacular tropical surroundings. There is an outside dining area on the pool terrace that enjoys west facing views making it shady for breakfast and atmospheric in the evening with fabulous sunset views. 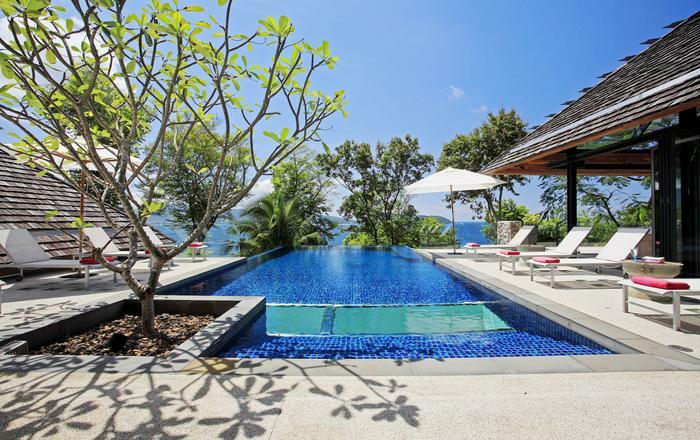 The crowning feature of the villa is the free form 12 meter infinity-edge swimming pool flanked by an expansive sun terrace paved with cool Javanese stone, all overlooking the outstanding views of Big Buddha and Samui’s north coast. 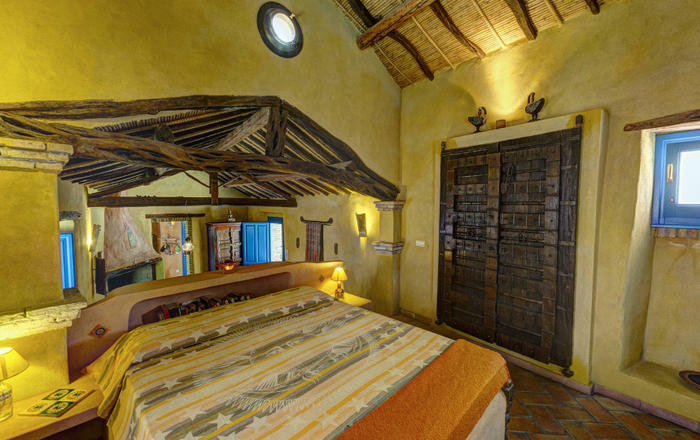 The villa has five spacious bedrooms each with floor to ceiling sliding glass doors, plenty of storage space, ceiling fans, air-conditioning and private areas to sit and read for some individual downtime. The two master bedrooms also have en-suite bathrooms, tropical wooden floors and private terraces with table and chairs; both have a south-facing terrace whilst the first master bedroom also has a second north-facing terrace. There are two twin en-suite guest rooms and a spacious fifth bedroom tucked into the far western section of the villa leading straight out on to the pool. 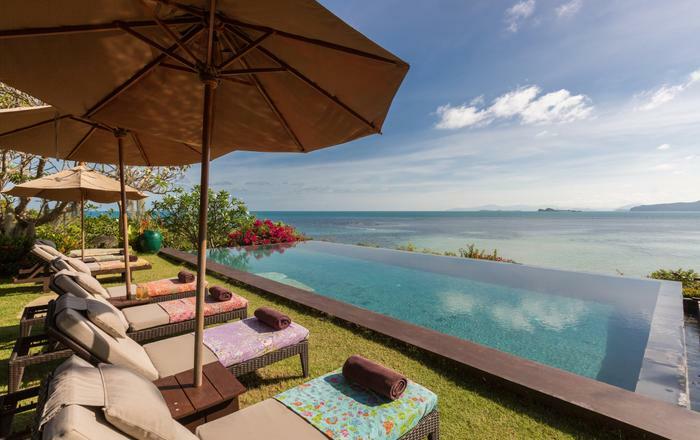 Conveniently situated on the private Samui Summit Estate in the much sought after North East of Koh Samui between Choeng Mon and Big Buddha, the villa boasts remarkable 180 degree east to west panoramic views. 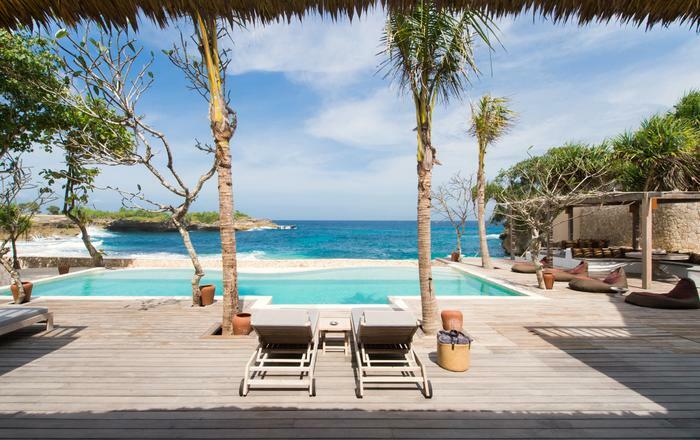 The villa is private and serene and yet is just a few minutes’ drive from the surrounding beaches with a wide selection of restaurants, bars, spas and five star hotels. WE ENJOY HERE . LOVE YOU MY FRIENDS. THANK YOU FOR YOUR AWESOME HOSPITALITY THE VILLA IS AMAZINGLY COMFORTABLE AND THE VIEW MAKES IT EVEN BETTER.I HOPE TO COME BACK SOON TO THIS PLACE .EVERY STAFF IS QUIET HUMBLE &HELPFUL.FRESH BREAKFAST EVERY MORNING WAS A DELIGHT. THANK YOU FOR EVERYTHING. 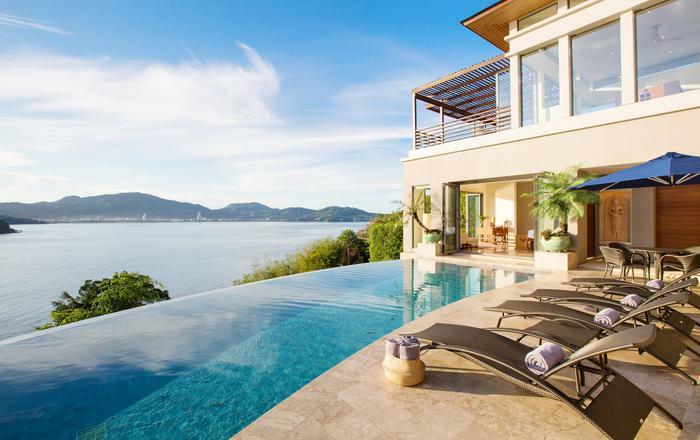 THIS VILLA IS SPECTACULAR ! THANK YOU IN THE WONDERFUL TEAM FOR TALKING CARE OF THE LOW FAMILY. LOVE THE PANORAMIC VIEWS & BREEZE.ALL A LING STAY AND PLACE TO COME HOME TOO.THANK YOU FOR THE WONDERFUL STAY.WE HAD A FANTASTIC VACATION AND THIS VILLA REALLY BROUGHT THE WHOLE TRIP TOGETHER. WONDERFUL SERVICE! EVERYONE IS SO FRIENDLY ! LEAVE SERIOUS BEHIND COZY PLACE AND BEAUTIFUL VIEW HERE WONDERFUL TRIP WITH BEST FRIENDS AND MY FAMILY .WE WILL BE BACK AGAIN. The stay was wonderfull. We think it was the best here. The Pool lovely , the beds were really comfortable,and most of all the family had a great time . Some of us are from New York and some from Hong kong you don't get something like in either places. Amazing stay here at Summit villa. Wonderful and accommodating staff who were able to cater to our change of plans. Thank you for your hospitality. The view here is spectacular. We stayed at summit samui for 10 days for my father's 70th birthday. The house is incredible..True paradise! Nisha - you were fantastic. Thank you for your keep breakfast & cleaning A chef to prepare meals (and provide a Thai cooking lesson) was a highlight. Our chef cooked 6 dish dinners that were delicious !! … and much more enjoyable than eating out. We suggest management provide an orientation on arrival. It would be helpful to know the services that are available, recommendations for beaches & trips and things like pool toys & the ping pong table. It would also be valuable to our management check in on guests every four days. Overall, we had a wonderfull time. Thank you " The O'Brien Family"
We really enjoyed the demonstration of Thai Cooking - two magnificent meals - what a lovely experience. Many thanks to all "Helen Tony and Family"
We had a most memorable time spent in this very beautiful villa. 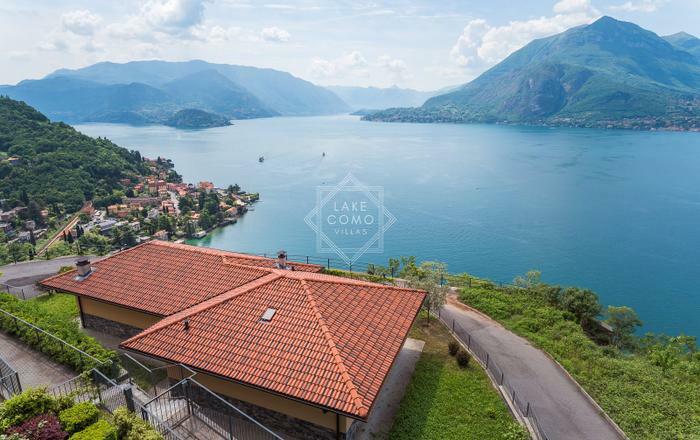 The view and surrounds are truly spectacular. The help and service given by Nisha was beyond call - She was always happy, smiling and obliging; nothing was too much trouble. Thank you for everything and I hope I come back again one time. Thank you for your friendly hospitality. We have relaxed and enjoyed the beautiful surroundings. "Maureen & Russell Thomas"
I feel blessed that I come to know this place, having a very relaxed holday. Thank you, Hugh "Crane & Laura"
What an amazing villa with breathtaking views, a great sound system and the most friendly staff. To Nisha, thanks for making the best breakfasts and being so smiley. To pee, thanks for being a great host and renting us super cars. Thank for this great vacation " Zoe"
Thank you Nisha and Pee for taking care of us in these five days. The villa is awesome and we had a good time there. Special thanks to Pee for all the arrangement and recommendation of the restaurant It's delicous and we enjoy a lot staying here. Thanks for bringing us a good memory and happiness for this trip. " Jenifer"
I've had such an amazing 2 weeks - perfect gorgeous luxury fabulous view. Thank you for being such amazing generous hosts and invite me here for the second time- Love and happy memories " Colia"
This villa is absolutely the nicest place we ever had the privilege of staying. Thank you so much. Love "Kiera"
Such a wonderful place to stay we will definitely come back and recommend to everyone. "Neno & Janie"
Nisha, Pon & Pee Thank you very much for looking after us all week you have made our stay so comfortable the food was excellent we really enjoyed our time here and can't wait to come back again. "Fresso"
Thank you so much for having me in this amazing place for the past week. I have had such a great time with beautiful views and the best food I have had in Thailand yet. Not to mention the wonderful company. Thank you so so much for everything. "Tasha"
Nuch, Thank you for everything!!! You've been really kind and helpful. We had a great week here and enjoyed it so much! Appreciate everything you did for us and wish you all the best in your life!! " Trevor, Ben, Neil, Yaya, Jeniffer, Rye"
Dear Knutt, Pee and Media You guys have been absolute legends; breakfast was amazing even though it was often a little late. Knutt, Thanks for cleaning up for us. Breathtaking views, See you next year " Vinny's stag crew"
Thank you so much for the amazing hospitality and tolerance you have shown us, Pee & Knut you are absolutely amazing! Pee I love your dancing. Amazing view. "Venny"
A week in heaven on Panorama Summit; the best view in the world! Sunset paradise!